Considered as one of the most exotic things to do in India, the Backwaters of Kerala have never failed to mesmerize its visitors with its beauty. The swaying palms over the placid waters that become even more scintillating during sunset, the lush green paddy fields and the colorful birds that spot all these landscapes in flocks. These sights are guaranteed to captivate your heart. So far, I have not known of anyone who has returned disappointed with the backwaters of Kerala. No doubt the beauty of the backwaters of Kerala is exotic but it is the life along the backwaters that makes this journey through the backwaters an enthralling experience. Welcome to our gorgeous homeland. All of you can refer to me as Chechi as do my neighbors and friends from Alleppey. For long, I have been addressed this way that I now forget what my real name is. 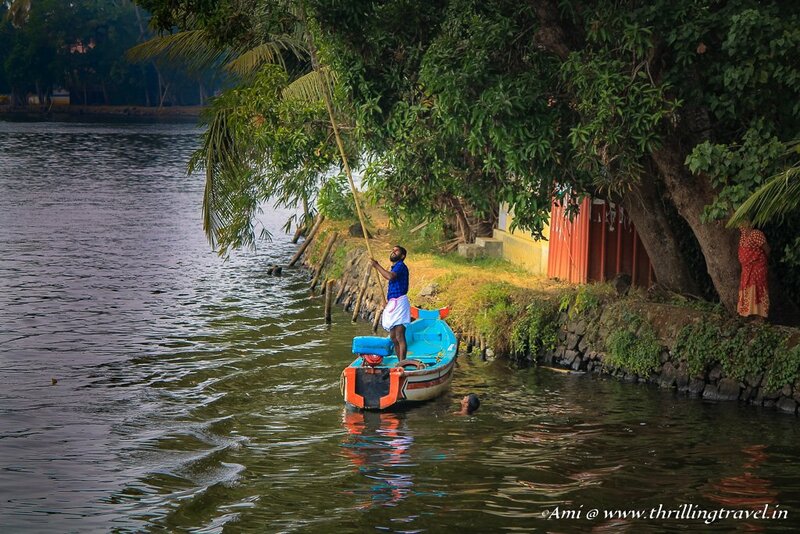 I was born and brought up in Alleppey and for me, backwaters have been my life. I cannot imagine life as you lead it. For me, that is too, mechanical and unconventional. I think you fellas look more at the wristwatch than the surroundings. Even when you are talking to people, you are always looking at your mobiles and wristwatches. We also, look at the time but only when we need to catch a boat. 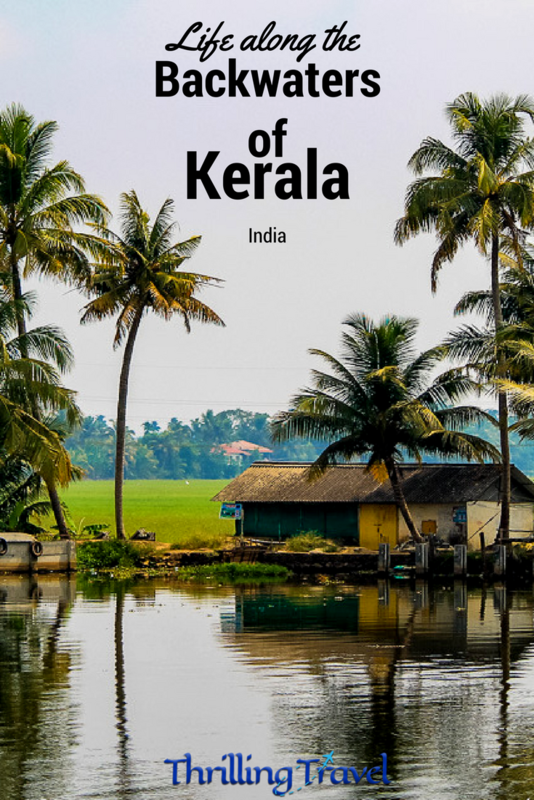 I will explain more of that when we float along the canals of Vembanad but for now, let me explain what really these backwaters of Kerala are. As you know that we are known as the Venice of the East, which is right in a lot of ways but is also, different in a lot of others. For one, we are not islands in the ocean like the original Venice. Our canals and waterways are a result of numerous lakes, rivers, and even the Arabian Sea. There are numerous towns and cities along this 900 km of backwaters, some key ones being – Kochi, Kumarakom, Alleppey and Kottayam. Each of these places has its own beauty and no matter where you decide to visit, you will relate to all that I share with you in this tour. Let’s set out from the Jetty on our grand tour of Alleppey, also known as Alappuzha. 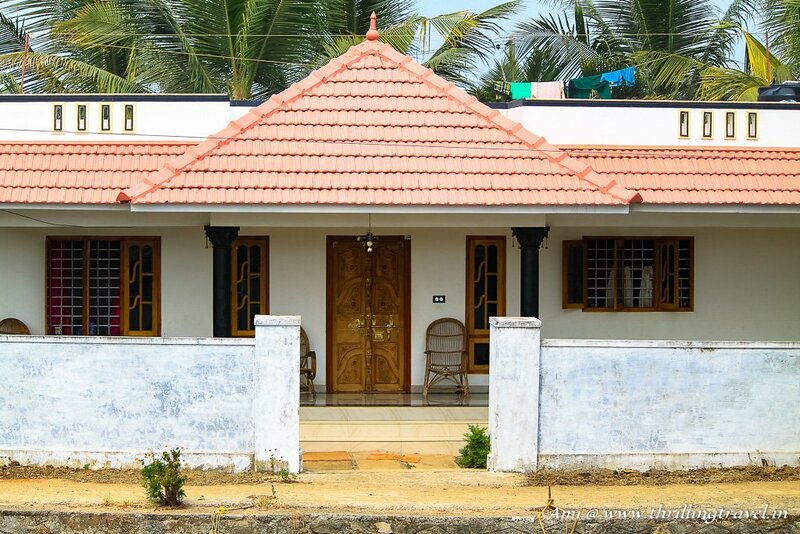 Along the sides, amidst the green fields and coconut laden lands, you will see our simple homes. A small structure with sloping roofs to drain away the crazy rains, we sometimes, have a small garden of our own. There are a few of us who have an exclusive dock for our boats and then some of us who have a small pole to tie them. Some of us have created steps that lead into the backwaters so that we can enjoy the little dip in our own little swimming pool. Our homes are not what you just see of concrete but includes much more than that. Uvvu, we do own cars and bikes now but that is in addition to boats. It is not unusual to find one or two of these boats attached to a home and we use these for our daily chores. 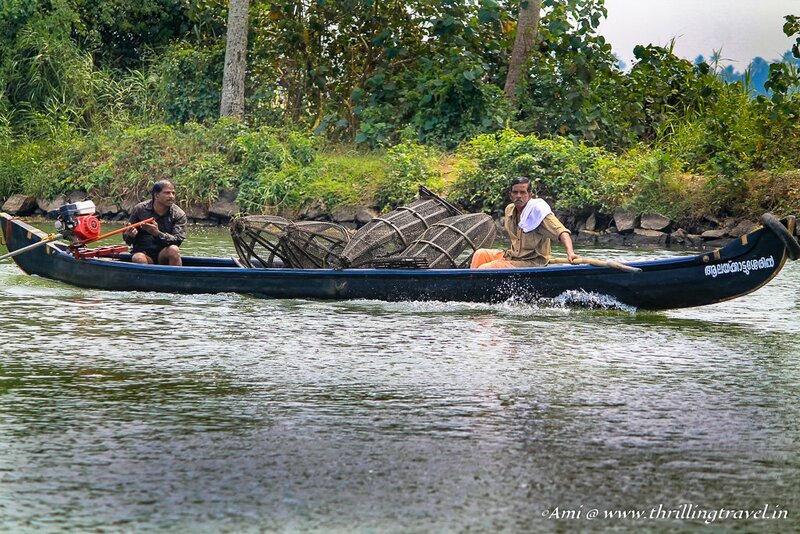 Where you use a two-wheeler or a car to drop and pick up your relatives, we use our boats to do the chores. Look around you will see different types of boats – some just for shuttling around and some meant to be different types of houseboats. Scroll through the slideshow below to get a glimpse of some. Most of our mon (kids) have now grown up and moved to bigger cities. While they stay away, their home and their culture are etched in their hearts and that always brings them home. Spread across the world, our children work hard and give back to their home. Nonetheless, there are a few of us who are still living our traditional life. Take this uncle for instance. 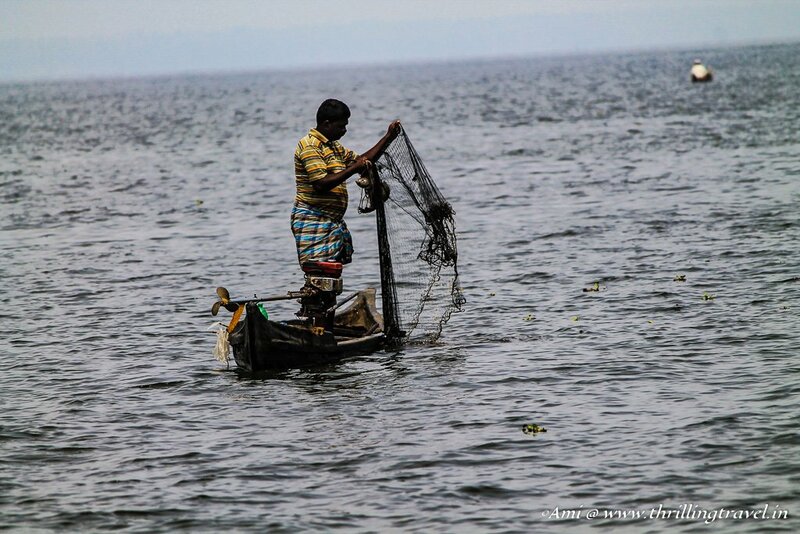 Every morning, he throws his nets around the backwaters of Kerala and then, sells his catch for his living. 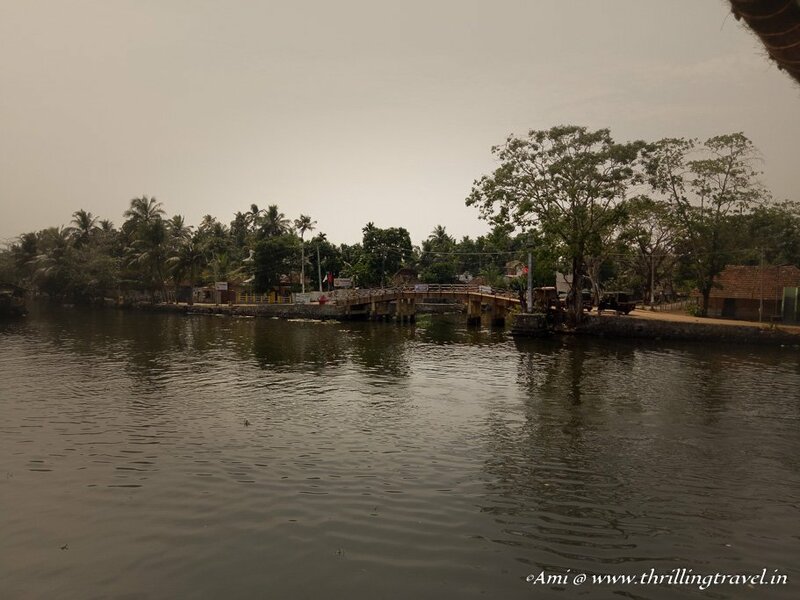 A lot of this is in fact, bought by the boats passing by, including your own houseboat to prepare Fresh Karimeen – a specialty dish of the backwaters of Kerala. You should eat one at my house – the fresh fish, marinated in traditional spices and cooked within banana leaves will leave you wanting for me. And I don’t forget my vegetarian friends. I will treat you to some great Appams and Idiappams with vegetable stew. I digress. Besides fishing, you will see small fenced areas near our homes with loads of ducks. 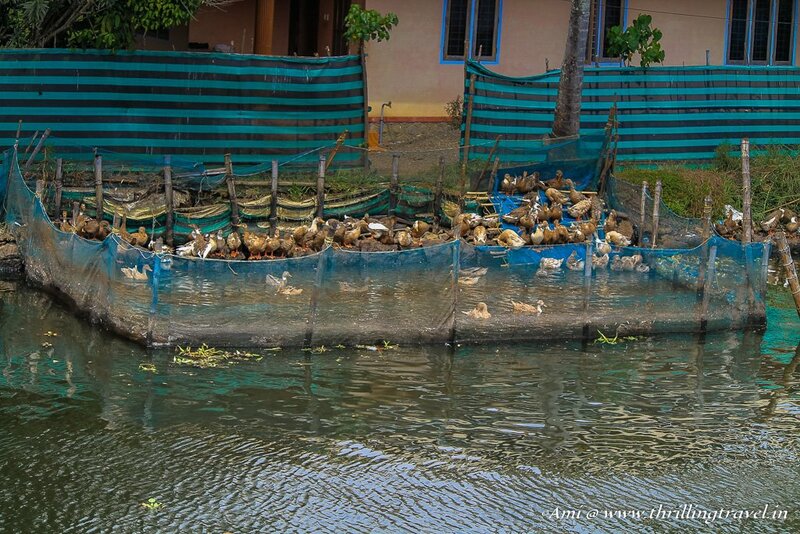 Duck farming is not uncommon for us. I remember my muttachan (grandfather) used to take his boats out and make the ducks swim in a flock – just as you would have seen a shepherd with their fish. A long pole was used to herd them around and later we would enclose them into their homes. Even today, if you are lucky, you will find one of our people doing this and trust me, you will find the same verry interesting. These waterways for us are a boon. I cannot imagine life without them. 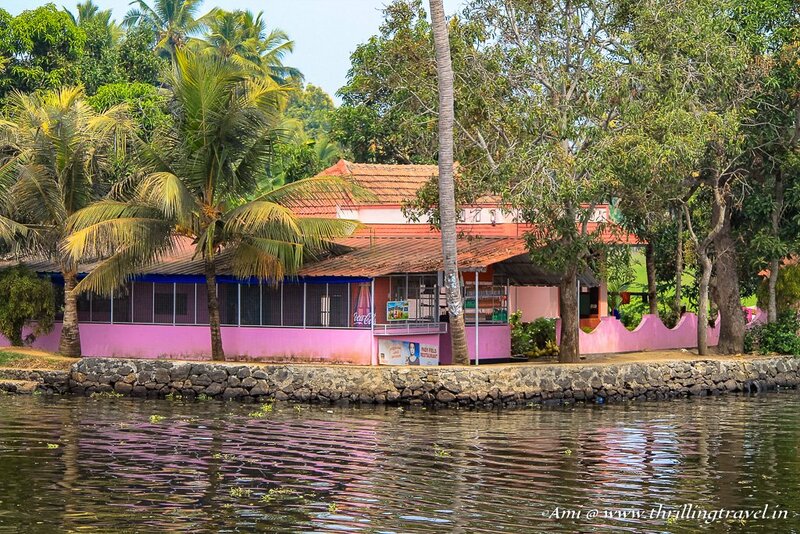 Our daily needs are met at the shops that you see in the corners of these backwaters. Just the way you make stops in your cars, our boats make stops along the way before we reach our destination. Sometimes for a refreshing coconut water treat or for the men, sometimes it is a stop-over at the Toddy bar. 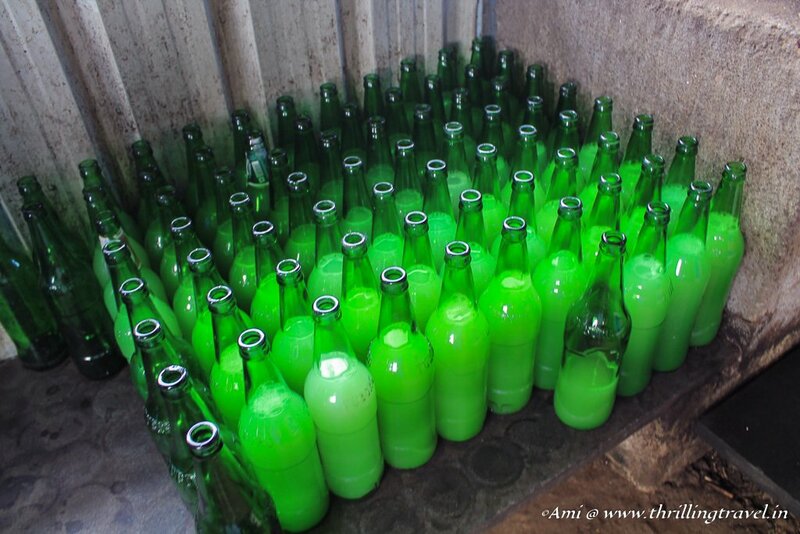 Toddy is made out of coconut and is our traditional drink. A little alcoholic and strong for me, it is enjoyed by all those boys. You might want to give it shot and see if it appeals to you. Just request your houseboat to just stop along the way. Enjoy the cool breeze of the backwaters while you sip from the glass. You will realize that this has a very distinct and sharp taste. 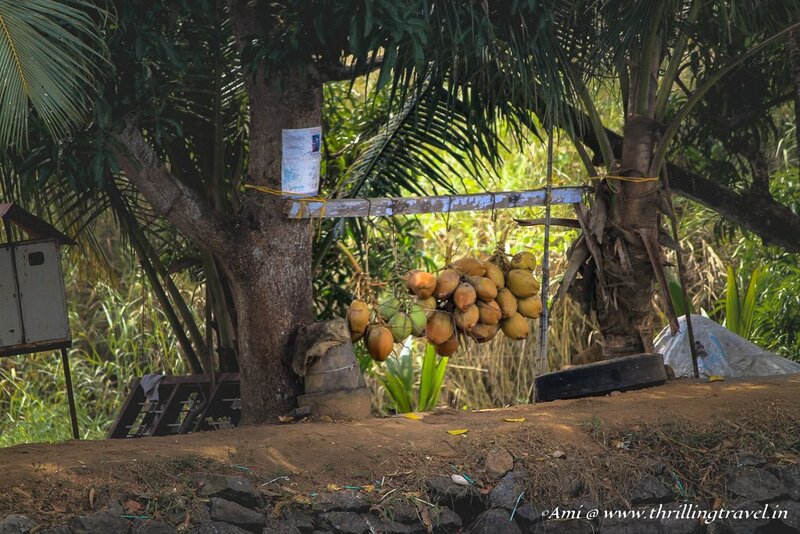 But if you want some advice from Chechi, just try the simple plain coconut water that is sold along the banks. We all stay in harmony. From a church to a mosque and a temple, you are bound to spot some beautiful monuments like this church. or Even the temple below. Some of our islands are just a bridge apart and here is where our similarity to Venice is obvious. Life as kids is quite simple. We played along the roads, walked through the fields, swam in the backwaters and swung along the banks. Football and Badminton are our favorite sports and you will see a lot of mone playing around. 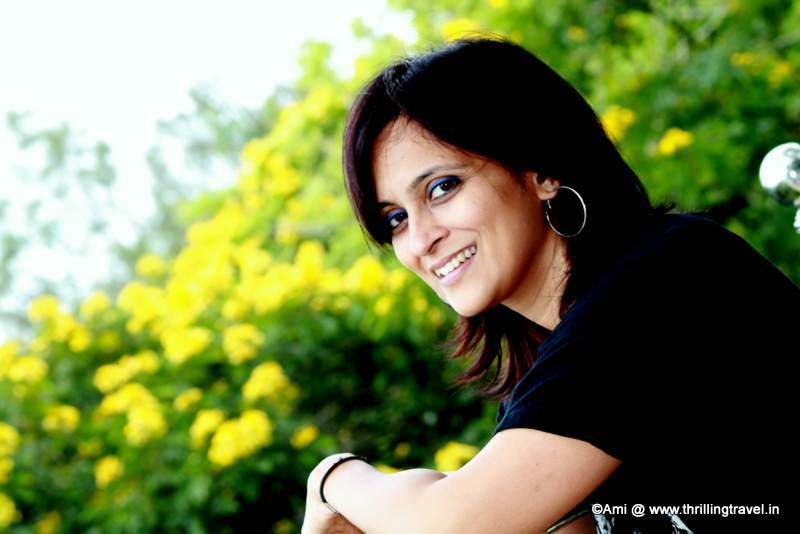 They are quite scared of me – after all, I am chechi. I am always telling them to do their homework or clean up something. Otherwise those monkutties tend to get out of hand! I am proud to show-off our literacy rate – a 100% . And that of course, is thanks to our schools. They are not too far but the distance has to be traversed in our water buses. When I was a school girl, I did not have an exclusive school bus and used to board the regular water buses. These days, the newer schools have their own buses. Now I see my niece and nephews from the cities and feel that they have forgotten the fun games that we used to play. All they know is those silly mobile games like Temple Run or Farmerville. Our children here, not just know that but also, know what it is to play under the bright blue skies in fresh, green fields. That joy of skipping in the open, playing hop-scotch without any care or even playing football with empty coconut shells is something that my vit (home) here can help you enjoy. My backwaters are still pristine and beautiful. There is a charm in its natural beauty and we do not really want to change that. I love breathing this fresh air of my serene surroundings, listening to the gentle lapping of the water and watching how the full moon lights up the whole palm-fringed landscape. The most divine feeling is watching the sunset and cast its warm glow of the backwaters – a phenomenon that is bound to make everything feel magical. I do hope you experience it here today and remember your Chechi when you do. With that, I take your leave with the hope that you found life in the Backwaters of Kerala as fascinating as I found your lives. Chechi left me as soon as we docked back to board our waiting bus. But each sight that she pointed out to me stays with me as if it were yesterday that I had seen it. 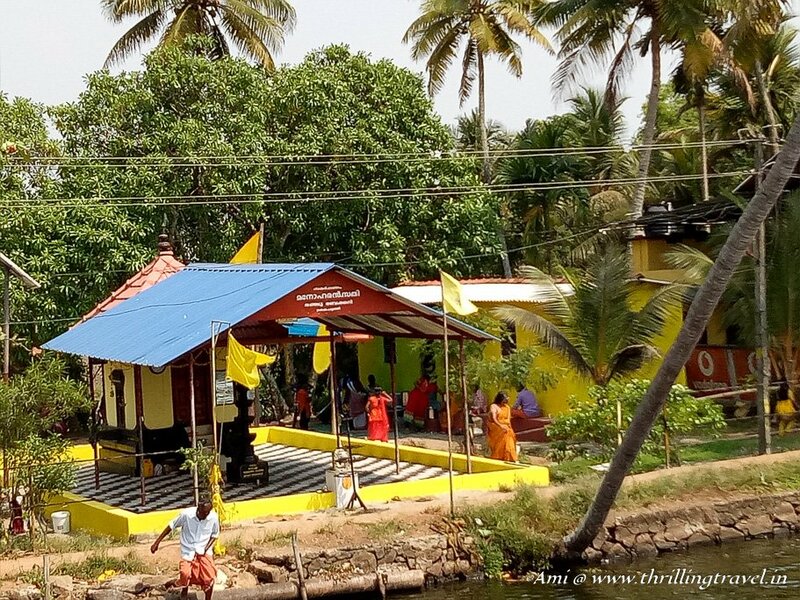 What did you think of these cultural nuances of the Backwaters of Kerala? Did you also, find it as fascinating as I did? Have you experienced it yourself or would you like to? Message in and let me know. Alleppey or Alappuzha has its own railway station and bus station. Kumarakom is the other destination for Backwaters of Kerala. This can be accessed through Cochin airport or Kottayam railway station. 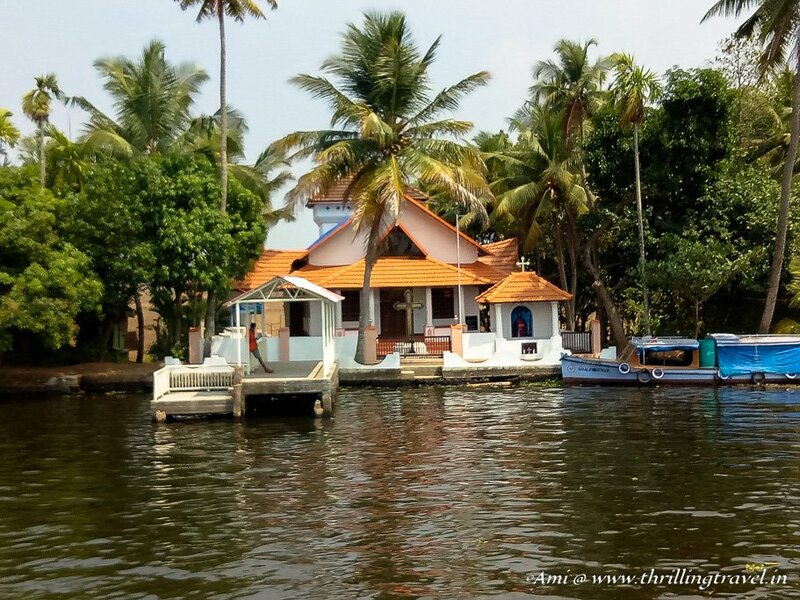 Check out my travel tips for the houseboats in Kerala by clicking the link here. What a beautiful place! Very tropical and also peaceful. I’d like to have a taste of that toddy – I hope it’s not too strong for me! It would be a good idea to try the toddy. Who knows, you might find a new favorite. Thanks for stopping by. Eh! This made me miss my home town! I grew up here being the young fella helping north Indian tourists around due to the language barrier back then.. The church in the picture above is Kainagiry Church. Well written and captured! You could have covered the beaches as well. Thanks Hemal. I am glad that you could relate back to all this. On the beaches, I will leave it for another post :). There was just so much to write on the backwaters. Wow.Wonderful post with lovely shots. As you said nowadays most of them enjoy the Temple run and Farmville. Kerala has so much to offer and you are very lucky to born and bought up there. After hearing about Kerala, I am really interested in visiting. 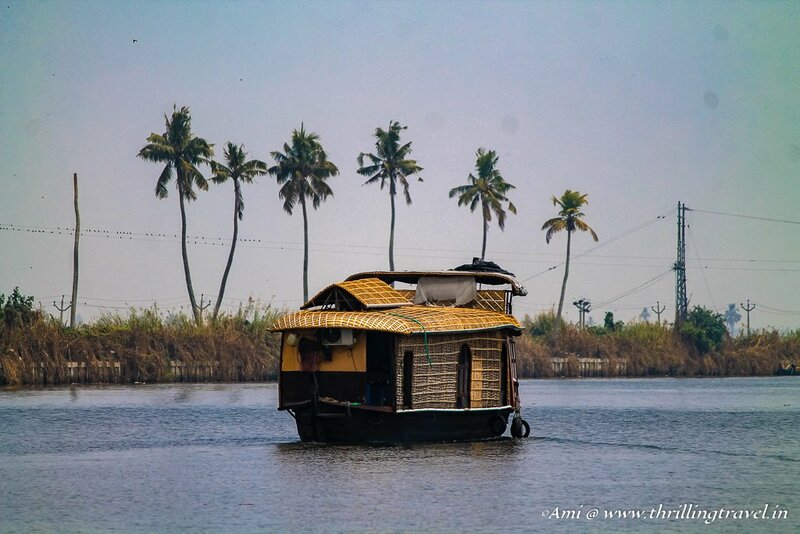 Until you mentioned the backwaters, I realized that I have a lot to learn about this beautiful destination. Thanks so much for including info on how to get there, because after reading this, I am even more excited about visiting there some day. Let’s hope it is sooner. 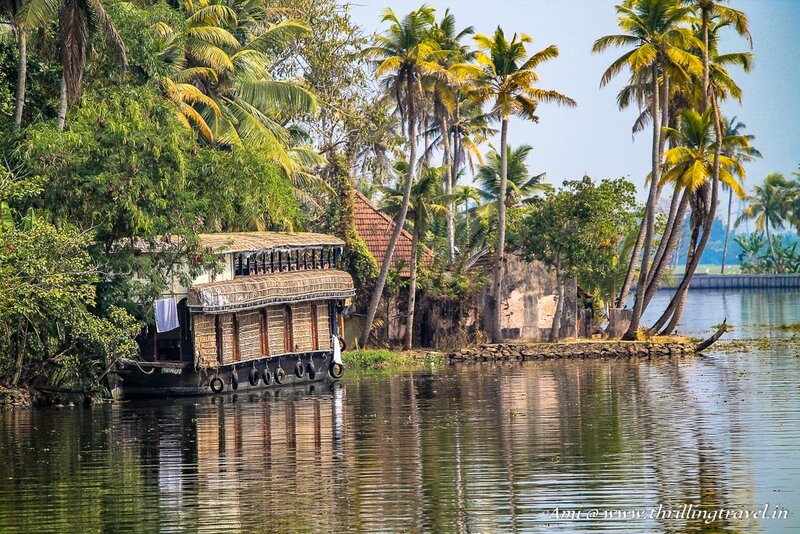 The backwaters are a must do experience. Thank you so much Joe. I hope you are even more excited now to visit this place. It is magnificent. The Backwaters of Kerala is so fascinating! There lifestyle is definitely different than a lot of places, but simple and what seems to be quite enjoyable. I love the slightly less complicated lives they live, living off of their resources given and immersed in nature. I agree Riely. The simplicity of their lives makes the whole place so adorable. Truly Amazing. Beautiful pics and post. I was in two minds over Kerala this winter ,But you have given mes ome great ideas.Will Novemeber be a good time to visit? 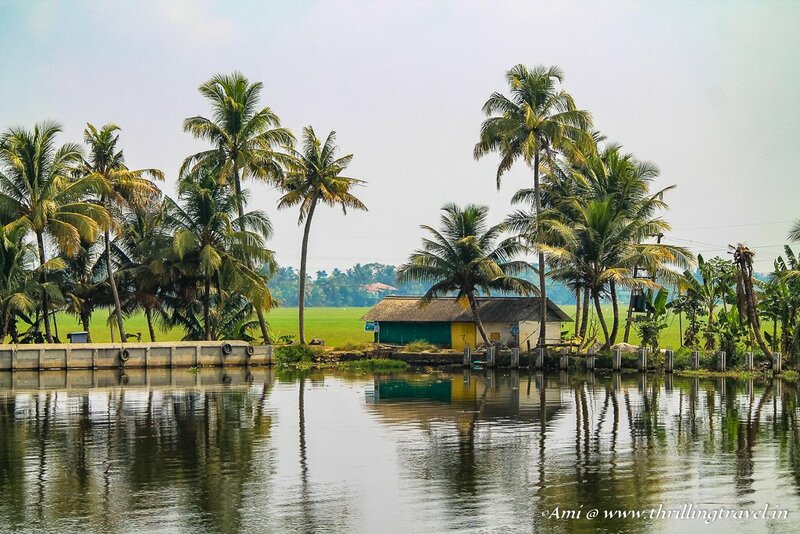 We’ve done many parts of Kerala, but Alleppey is still on our ‘must do’ list. I do hope you do it soon Corinne. It is gorgeous. The only reason I know about Kerala is because of their massive blogging campaign. Looks awesome! Thanks! I do hope you get to Kerala soon. It is a lovely place indeed! WOW what a gorgeous place. I have never even heard of it. I love that you went to school on a water bus that might be the coolest thing ever. I would try one of those coconut drinks they sound right up my traveling alley LOL! I also love the houses right on the water and the houseboats. Awesome thanks for sharing. THanks a ton. Chechi says that school on a waterbus was fun and I could so see the same. You should go visit this place for yourself and you will know what Chechi says. Cheers. Love the Kerala story and the place too. Is toddy is being supplied to other countries? We have similar one that we called tuba. Read numerous accounts on how a trip there can be a heavenly experience. You’ve said it all too! You bet Alok. You are sure to enjoy it. Plan it for the winters. Kerala is such an enchanting place and the backwaters are ideal to get lost in. Chechiland is indeed mesmerizing. We have not been to Alleppey yet, but savoured the pleasures of the backwaters on our last trip to Kochi in the small village of Cherai. 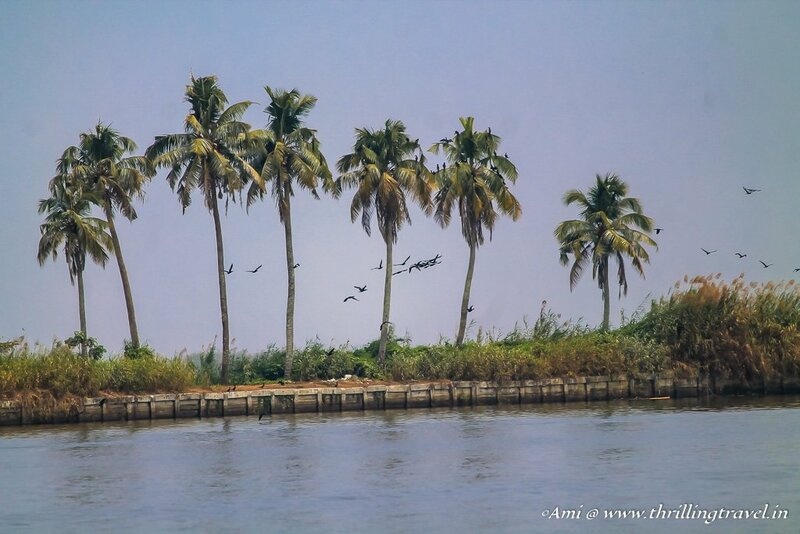 The swaying palms along the backwaters of Alleppey seem to be calling out to me. Am sure Cherai was a lovely experience too. I remember reading about it. Quite calm and serene like Alleppey. I hope I get to see that while you get to go to Alleppey. The app sounds very interesting and something that I would like to use. Great photos Ami! Kerala is so blessed with the bounty of nature! Its just gorgeous!!! I’ve been there so many times and still cannot get enough of it! 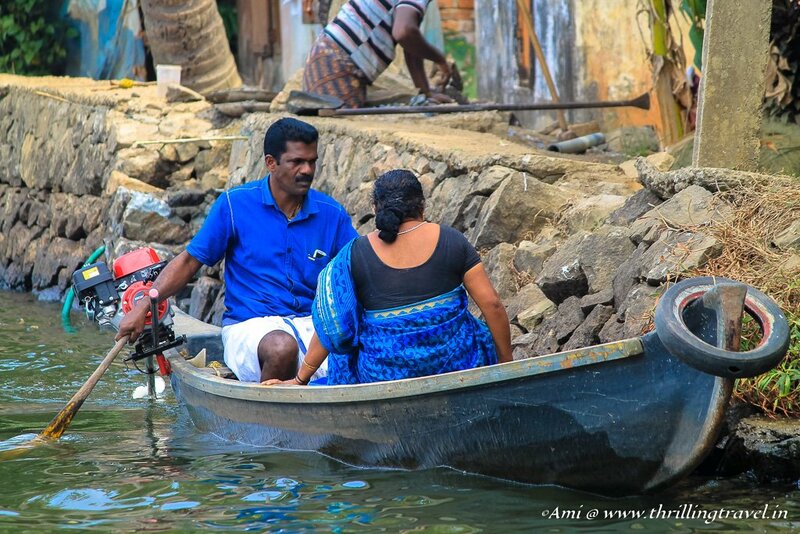 The very thought of taking a boat in the backwater for everyday transport is just so romantic! It’s amazing how we find it so cute while for them it is normal, isn’t it? Such are the ways of life! No doubt though that Kerala backwaters are just amazing. 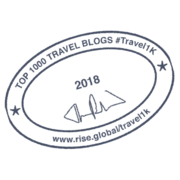 I loved your post in Chechis tone. She was so clear and wonderful on thoughts. I can very well relate what significance these backwaters have for them in their life. Actually they don’t need to look at the watches as we guys keep on doing. Kerala is a pristine beauty with awesome mood of transport. I would love to spend some days there without phone. Beautiful area. The backwaters seem very enjoyable. A truly wonderful culture to learn about. The temple looks incredible. I’m always fascinated by people who live life on, or at least surrounded by waters. Such beautiful images which as you’ve said draw obvious comparisons with Venice… or for me, the Peruvian Amazon during the flooded months, or even the canals of Bangkok. Thanks Chris. The lives of the people along these waters are indeed fascinating. Nice to know the backstory of people living there. Always felt that Kerala locals are very warm. Kerala is so beautiful! We love visiting and ofcourse sampling the amazing food. Oh, I miss home now! 🙂 And I loved the Chechi perspective. Gorgeous pictures! I’ve read so many things about the backwaters of Kerala. I think it is very interesting and is a nice insight into the local culture. I wold love to visit it someday! Thank you and I do hope you get here soon. 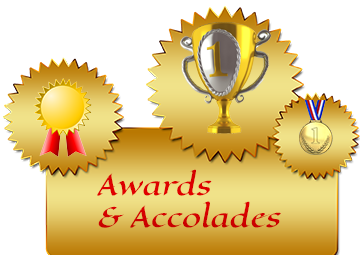 With each story you are writing, you are getting close to becoming a professional script-writer. 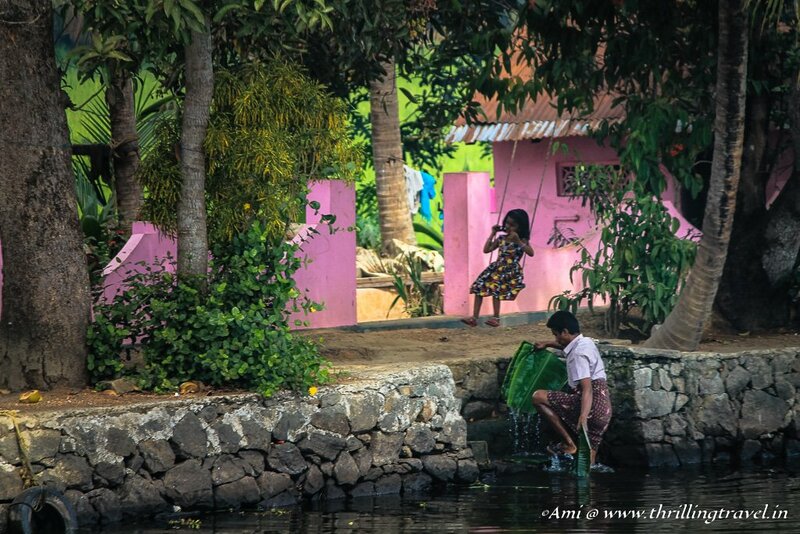 I really love the way you have knit the life in backwaters around Chechi. I have met many Chechis and Chetas during my multiple trips to Kerala and I can’t help remembering all the good things I got to experiences in the backwaters as I read your story. Thank you Sindhu. The best way to share the backwaters is through Chechi though. Don’t you think so? You made me nostalgic and now I am longing to get back on that houseboat I stayed in years back. Everything seems to be as is even while so many years have passed. 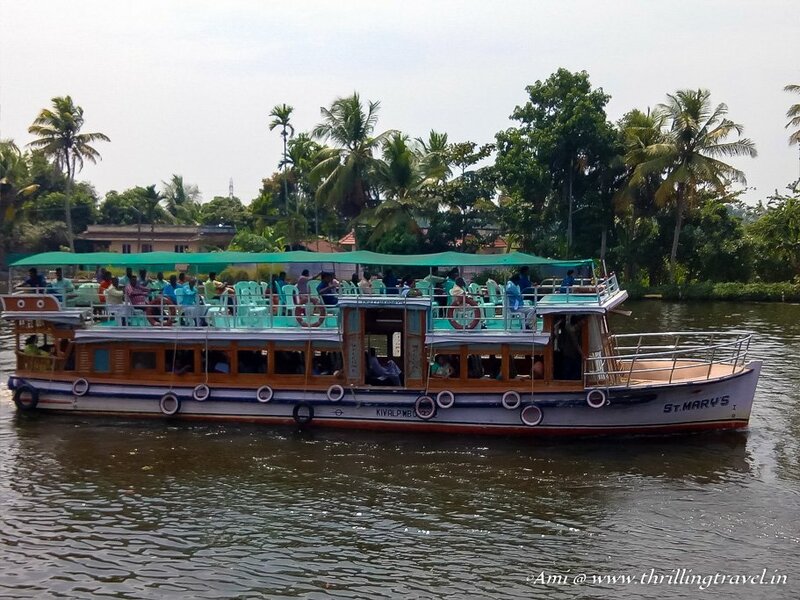 The best part is they not only take you on a cruise through the backwaters but actually prepare fresh authentic cuisines for you then and there. Backwaters of Kerala is the must visited tourist destinations in Kerala. Kerala is the beautiful place full of natural greenery lush. That is why it is also known as Gods own Country. By the way thanks for the information. Best time would be between September to February. Now that you have double the endorsement, hope you get to this sooner. 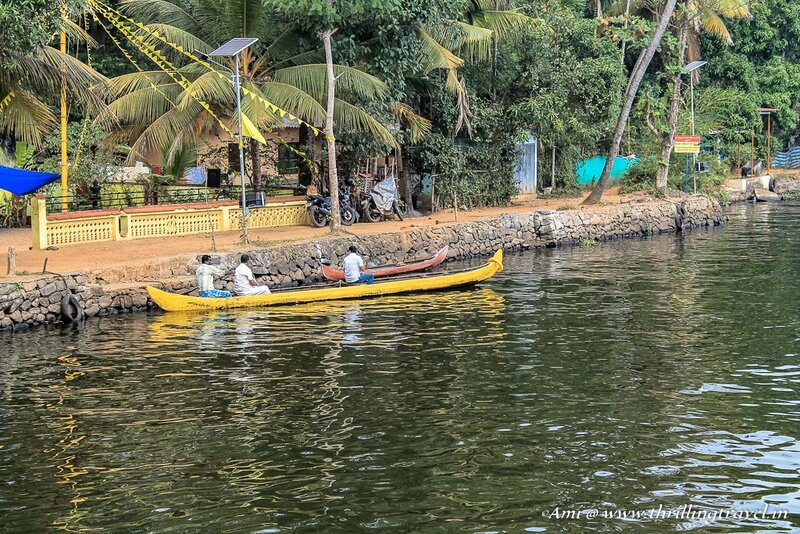 Life along backwaters seem looks very refreshing. 100% literacy rate is also amazing! Thank you Kirstie. It is a lovely and refreshing ride along these waters. 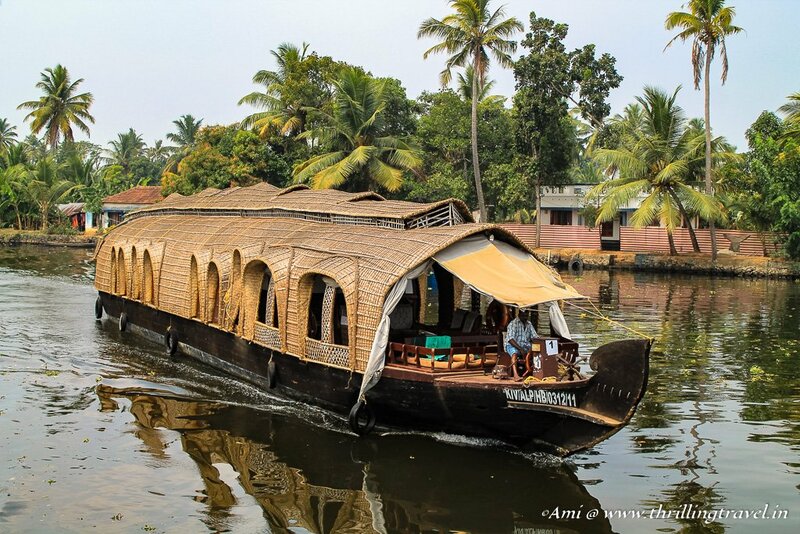 Hats off to Chechi for saying that it is not the Venice – it is the Kerala backwaters. Where in Venice would you find such lovely shades of green? Kerala to me always means shades and shades of green. Exploring the backwaters would be very interesting, and definitely a different way to explore Kerala. 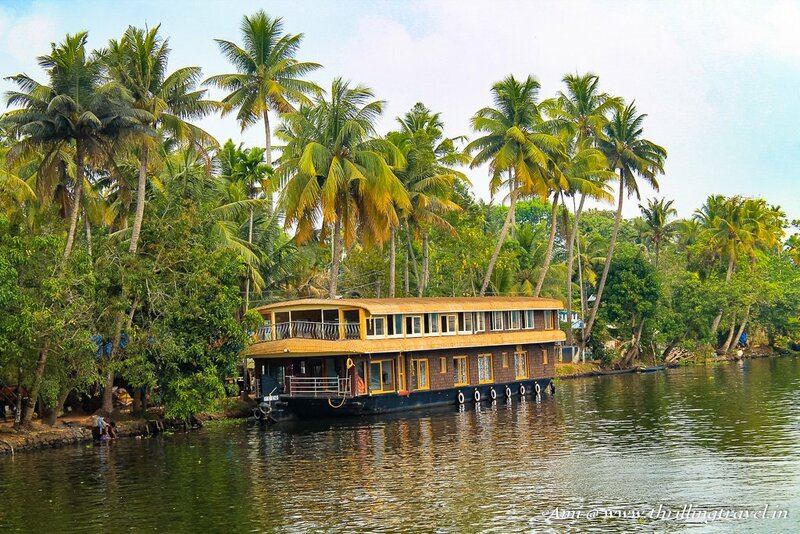 I didn’t even know you could do this kind of canal cruise, but with 900km of backwaters, I’m sure that the views would also be amazing! 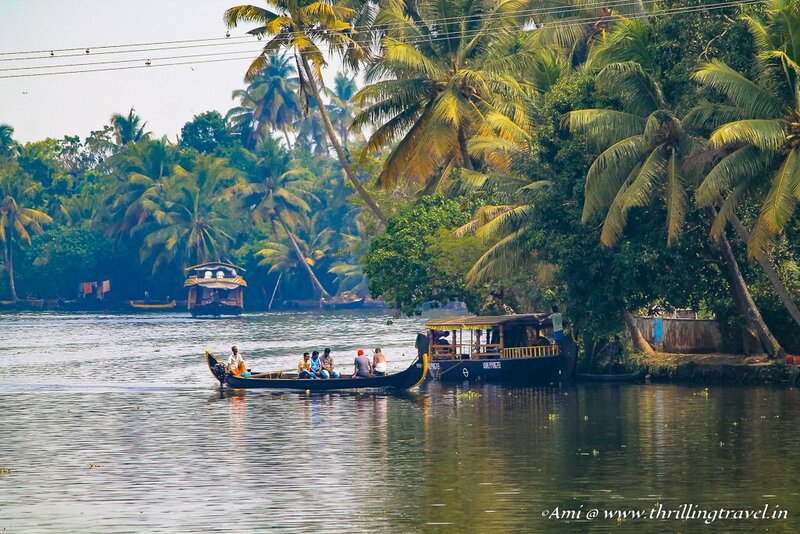 The backwaters of Kerala is one of the key things to do here. You must not miss for these sights. Hope you can visit here. Thanks for stopping by Danila. Wow the backwaters of Kerala sound like a magical place to visit. I love being near water when I travel, it is so relaxing! Kerala certainly is a place to let your imagination run wild, and to enjoy being so close to nature. Trust me, this is one gorgeous destination and especially since you love being around water. Hope you can visit soon Claire. Kerala is beautiful. 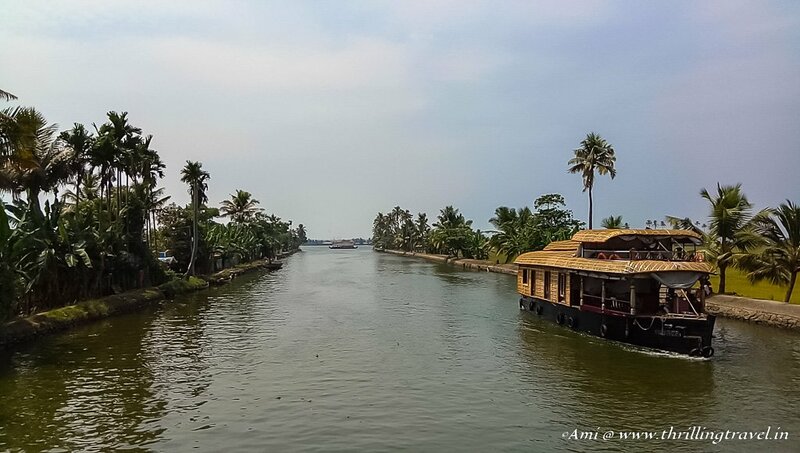 And, I loved staying in the houseboats while exploring the backwaters of Alleppey. Unfortunately, I went on a office tour so i couldn’t engage a lot with the local fisher community. I would love to go back for the same. Thank you Niels. That is a lovely compliment. Ami your pictures are lovely! You’ve put into pictures all the lovely sights that chechi described to you and while reading her interview, I could totally imagine the simple childhood she talks about because even my parents talk about the simplicity of their childhood in their villages, back in Punjab, and it sounds like something so far away because that lifestyle doesn’t exist anymore. I wonder if you tried any of that toddy yourself, Ami? The backwaters of kerala couldn’t be more beautiful. I’ve never visited India, but when I think of visiting, I’d very much imagine something like this. I love the houses along the water and how peaceful it feels. Actually, it is far more beautiful but similar to a water based trip I took to the Norfolk Broads in the UK – that perspective from the water can’t be beaten. 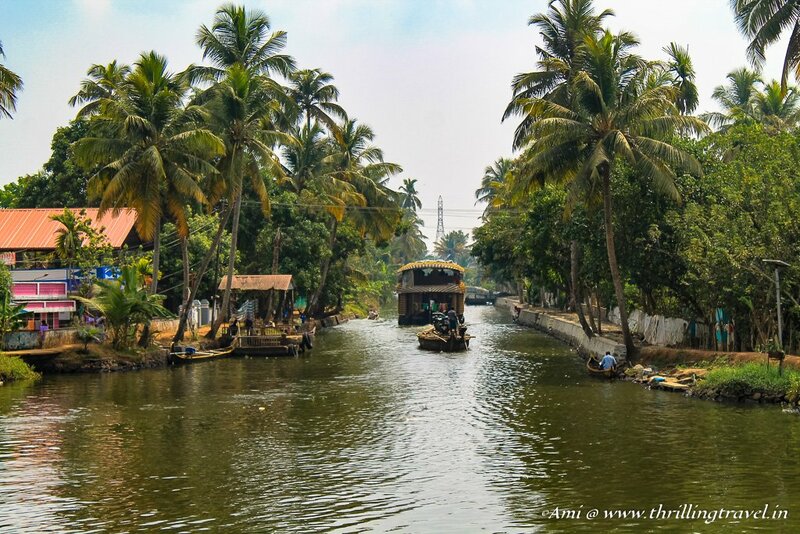 Navigating these beautiful backwaters is actually one of the images I have in my mind of what a visit to Kerala would be like, having enjoyed seeing them on some travel shows over the years. Your photos really bring to life how beautiful and relaxing the experience would be. Even the style of the boats is fascinating and appealing and I love how green the water and landscape are. It still has that untouched beauty quotient – if you know what I mean. I hope you get down to visiting it yourself. You never know what Chechi will reveal to you.